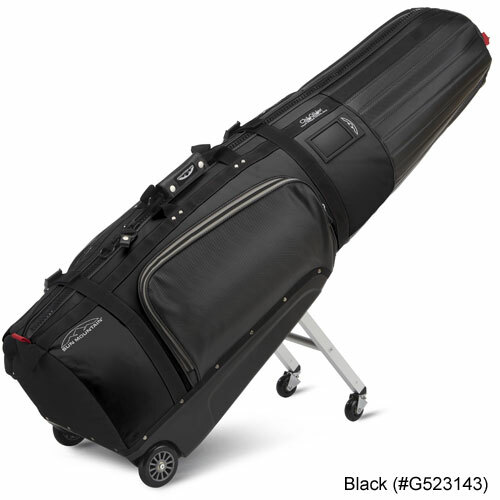 The Tour Series ClubGlider is constructed with vinyl to coordinate with the Tour Series cart bag. Like the Meridian, it can hold a single cart or stand bag. The key to the ClubGlider is its patented leg mechanism. Once you feel the ease of pulling a loaded ClubGlider, you’ll wonder why you ever used anything else. • The leg mechanism extends and retracts in one easy motion and secures into the molded tray for travel. • Internal cinch straps secure your golf bag. • Pivoting caster wheels provide superior maneuverability. 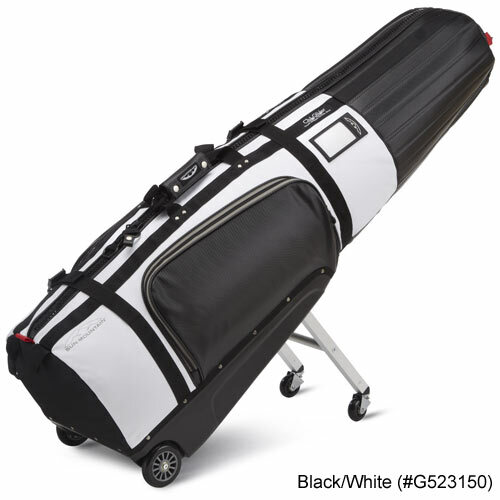 • Heavy-duty, two-way zippers run the full length of the bag for easy loading.